I’m just back to Hong Kong from a short trip to Seoul. When travelling to another country, you may discover the local version of something that is sold only in that country – South Korea is no exception. During my trip to Seoul, I discovered something that is unique to South Korea – let’s share them in this post. 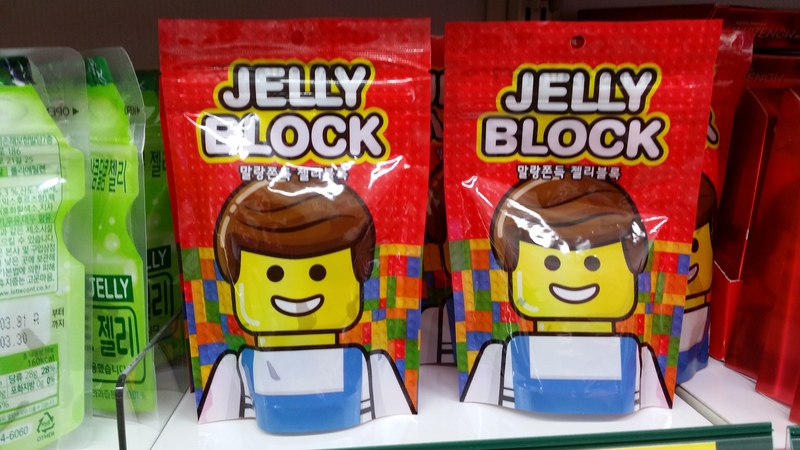 Although the Legoland is still not yet built in South Korea, this Lego Jelly Block has become a popular souvenir for the tourists. This is mainly sold in the 7-Eleven convenience stores in Seoul. This is in fact jelly candies in the shapes of Lego blocks and Lego man with different flavours (apple, orange, grape, litchi, and mango). It costs only 1,500 won per pack. You will surely like this if you are a Minion fan. The milk is sold in the GS25 convenience stores. 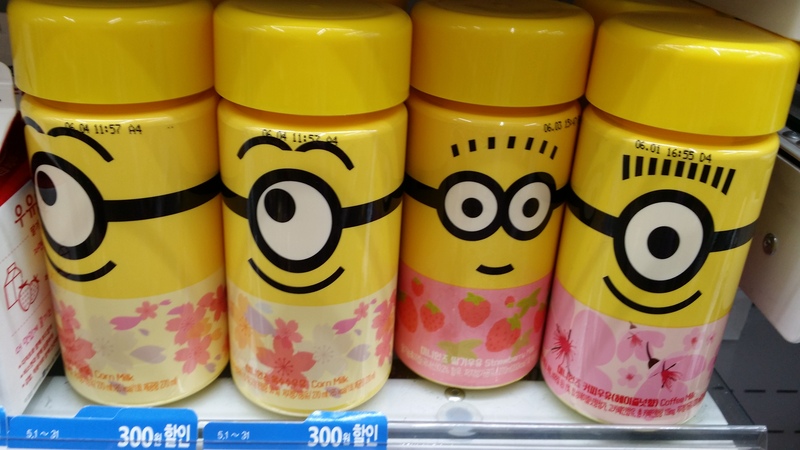 The milk containers have minions printed on them. Different minions are printed for milk with different flavours – from right to left in the photo, coffee milk, strawberry milk, and corn milk. Which one do you like? 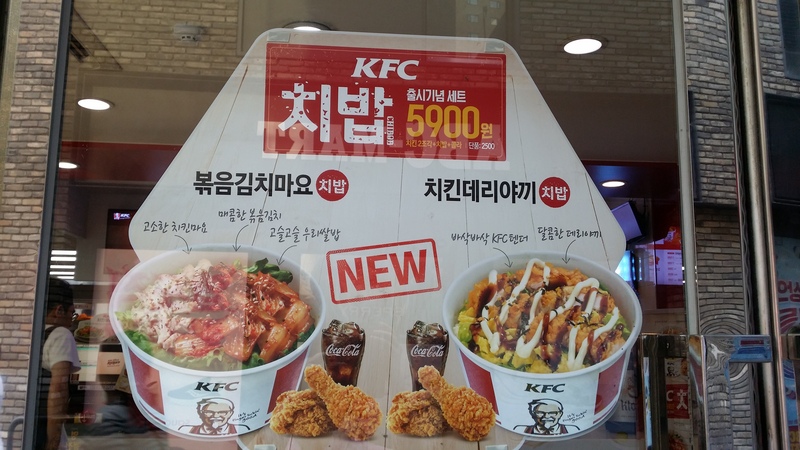 As South Korea is famous for fried chicken and kimchi, KFC, the international fried chicken chain, is offering a new menu called “Fried Chicken Rice” (치밥). There are two types of fried chicken rice – one is rice together with fried chicken mayo and kimchi, and another is rice together with chopped fried chicken with teriyaki sauce. The fried chicken rice is sold at 2,500 won but there is a set menu at 5,900 won which comes with a coca-cola drink and two pieces of fried chicken. I have tried the chicken teriyaki one and it tasted pretty good.